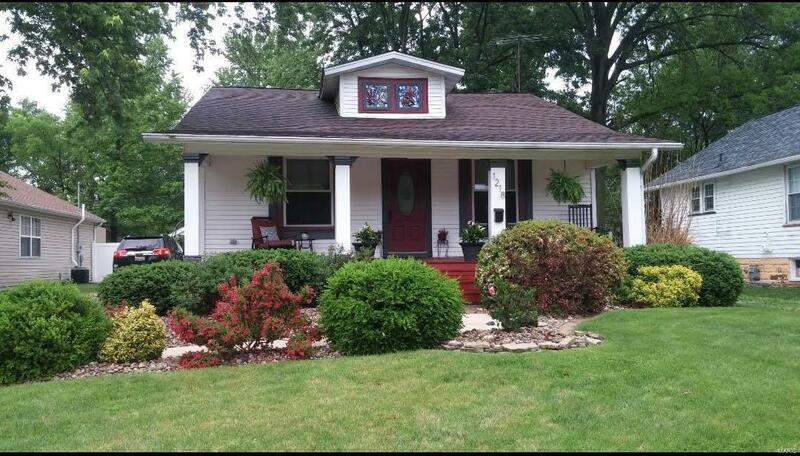 Beautifully well maintained home in the heart of the Leclaire District. Updated bathroom with heated ceramic tiles, large jetted tub and newer vanity. Newer flooring throughout entire home, recently updated thermal windows. Walking distance to parks, schools, and minutes to local restaurants and shopping. Front room used to have third bedroom but wall was removed to expand the living space. Bonus room in basement could be made into bedroom. Add stairs and the large upstairs attic space has potential to be converted into a master suite, family room, or anything that would suit your needs! Beautiful landscaping around entire home with large garden in the back. Covered front porch and large back patio perfect for entertaining guests or relaxing out in the sunshine. Alley access to the back of the property, one car detached garage. Come see this home today!